Enjoyable to drive, head-turning looks, upmarket interior. Touchscreen looks a bit cheap compared to rivals, diesel can be noisy if revved. Crossovers and SUVs are where the family money goes these days, with many buyers resigned that their usefulness does come with some compromises in style or driver appeal. 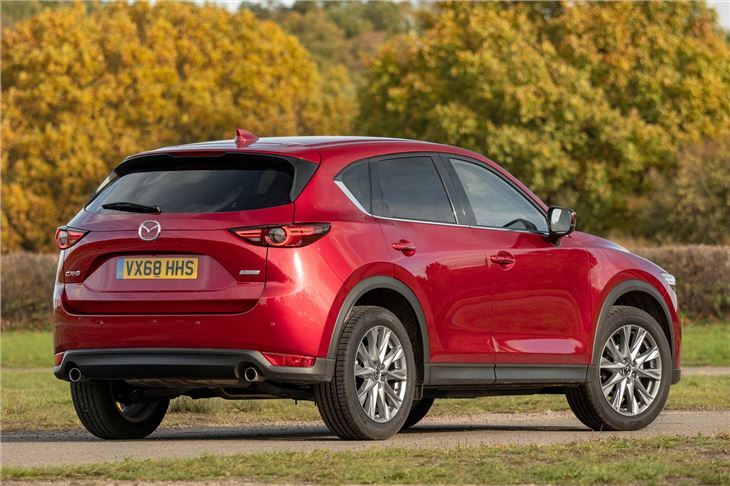 The Mazda CX-5 defies that norm though, being both good looking and entertaining behind the wheel. That’s enough to make it one to recommend among SUV rivals like the Volkswagen Tiguan, SEAT Ateca, Honda CR-V, as well as the vast array of crossover competition headed by Nissan’s huge-selling Qashqai. 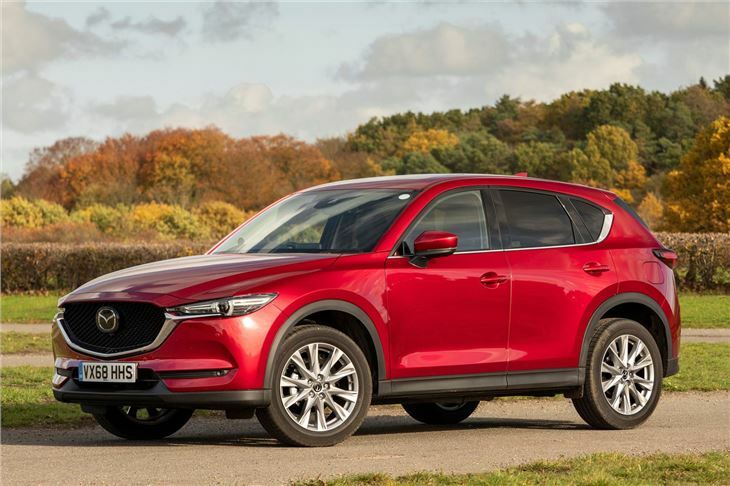 Mazda has never been afraid to buck convention and it’s obvious with the CX-5. The styling is bold and distinctive, with a pronounced grille and tapered headlights being very dramatic, making for a shapely SUV. That’s hugely refreshing alongside the CX-5’s rather prosaically-styled competitors. 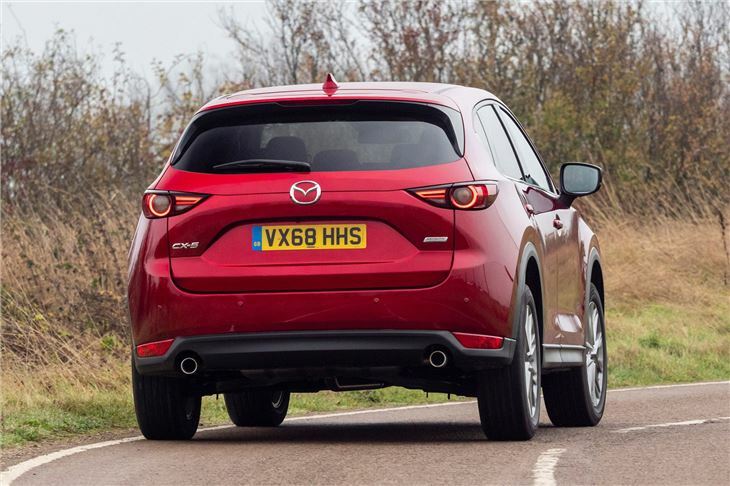 The surface detailing along its sides, as well as the distinctive rear lights mean it’s got seriously head-turning kerb appeal, which is helped no small part by its relative scarcity in the UK in comparison to omnipresent rivals like Nissan’s Qashqai. It’s sharp and attractive looking enough to put it up against many premium rivals, it feeling upmarket enough to elevate it above its mainstream competition. That’s largely true inside, the cabin having some flair, though it’s not at the expense of user-friendliness, or space. 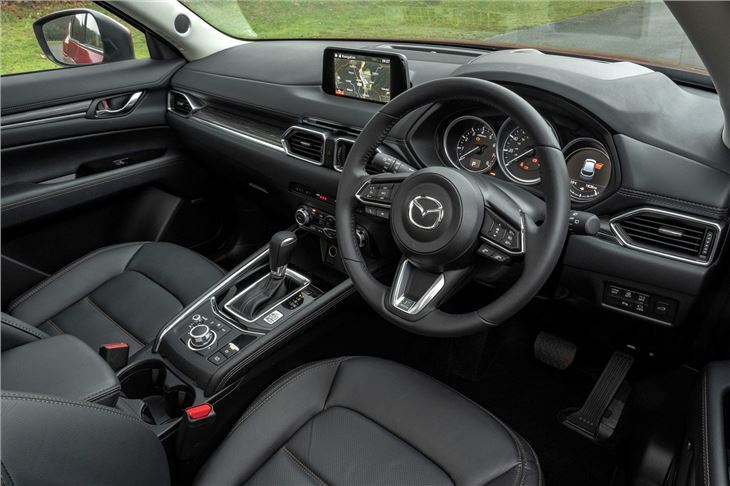 The range of engines is, somewhat unsurprisingly, dominated by diesel choices, specifically a 2.2-litre turbodiesel which Mazda dubs Skyactiv-D. It is available in either 150PS or 184PS outputs, mated to either a six-speed manual or six-speed automatic transmission. The lower powered version is the big seller, and can be had in either front-wheel drive or all-wheel drive, the higher output 184PS model only coming with all-wheel drive. If you’re put off by diesels, Mazda does offer a sole 2.0-litre Skyactiv-G petrol engine in the CX-5, it developing 165PS and mated to the six-speed manual or six-speed automatic gearbox and front-wheel drive only. 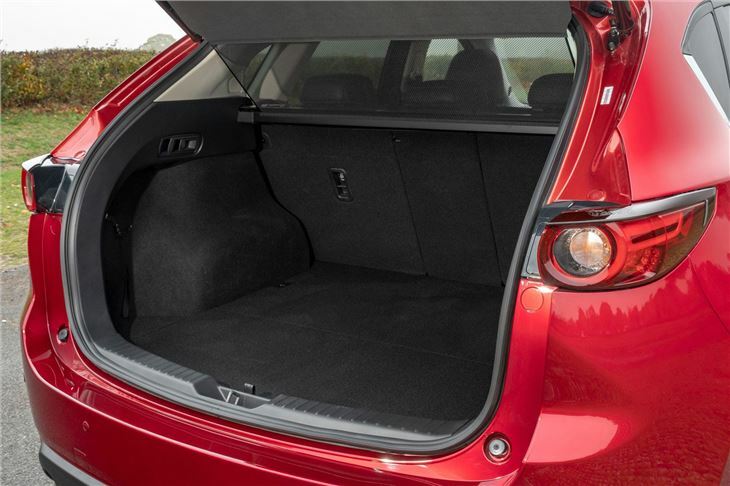 Three trim choices are offered, and they’re all comprehensively equipped. SE-L Nav offers the best value for money, featuring 17-inch alloy wheels, LED headlights with daytime running lights, dual-zone climate control, a 7-inch touchscreen with navigation, internet app integration, DAB radio, four USB sockets, aux-in, Bluetooth telephone connection and safety equipment like Smart City Brake Support, Stability and traction control and Isofix child seat anchors in the outside rear seats. 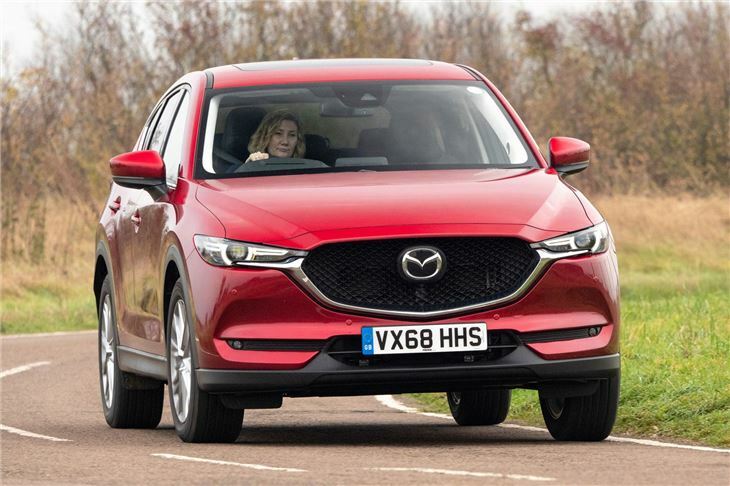 While the Mazda CX-5 isn't an obvious choice like more conventional rivals, it's a classy offering in a competitive sector. 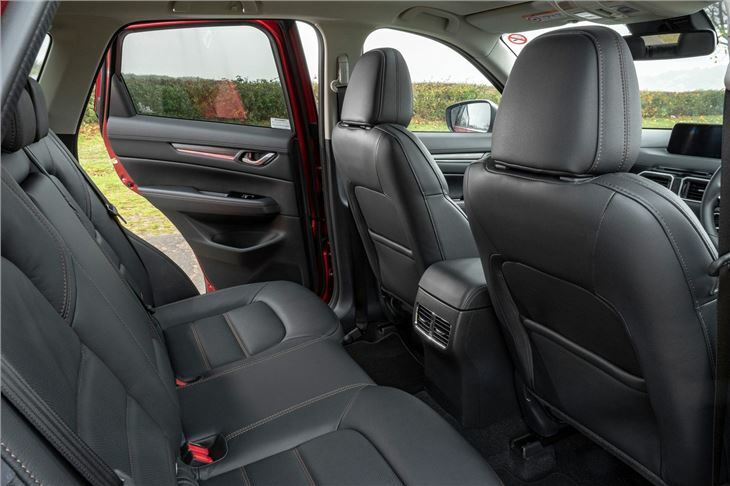 Its engine line-up doesn't shine, but its interior is practical and upmarket and it's great to drive. Very comfortable and a pleasure to drive.